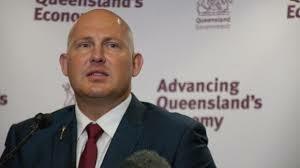 Treasurer Curtis Pitt said that Queensland’s 2017-2018 state budget of $42.75 billion in infrastructure projects over the next four years will support 40,000 jobs within the south-east corner of the state and another 22,000 jobs outside. The 2017-18 Budget allocates an extra $1.9 billion to the $800 million that has already been allocated to the $5.4 billion Cross River Rail project. However just $129 million in addition to the $800 million already promised is there for 2017-18. The government says that will be enough to start work on the project. New mental health facilities at Nundah, Brisbane North and Brisbane South will receive $8.7 million as part of a planned $68.9 million expansion of mental health care. Kelvin Grove State College will receive $6.2 million towards a $14.2 million indoor sports facility. Central Station upgrade – $20.6 million towards a $44.3 million plan to modernise the CBD station. Sciencentre upgrade – $6 million towards an $11 million upgrade of the Queensland Museum facility. Cultural Centre at South Bank – $6 million of the $22.9 million needed to improve power and water systems. Boggo Road Gaol – $2.7 million to begin the $42.1 million redevelopment of the heritage-listed landmark. Royal Brisbane and Women’s Hospital – $5.3 million towards a new $6.1 million nuclear medical science laboratory. Queensland State Netball Centre – $29 million towards a $44 million upgrade. North Stradbroke Island – $9.6 million towards the 23 projects identified in the $23 million North Stradbroke Island Economic Transition strategy. New schools at West End, Fortitude Valley, plus new classrooms and halls at Redland Bay State School, Sunnybank Special School, Mansfield State High School, Cavendish Road and Kelvin Grove. $4 million for a new ambulance station at Wynnum. Social housing – $119 million for public housing in Brisbane in 2017-18. $233.5 million towards Gold Coast Light Rail (stage 2). $23.5 million towards the $131.5 million Coomera to Helensvale rail line duplication. Pimpama State School: $4.5 million in 2017-8 for new hall and classrooms. Pimpama State Secondary College – $5.6 million to complete work currently underway. Coomera: New primary school – $11.7 million in 2017-18, part of $32 million project. Coomera Indoor Sports Centre – $1.5 million to finalise the Commonwealth Games facility. Tamborine Mountains State High School – $1.2 million for new classrooms. Gold Coast University Hospital Mental Health Unit – $4.6 million in 2016-17 for mothers with significant mental health problems; also $2 million for mental health care for older people. Mermaid Waters new ambulance station at Coral Gardens – $4.5 million of a $4.7 million project. Springbrook National Park – $179,000 to build a new bitumen walkway to Natural Bridge tourist highlight. Commonwealth Games security – $72million of $85 million needed for extra security at the Games. Roads for the 2018 Commonwealth Games – $37.9 million to finish several road projects. Social housing – $28.9 million for new public housing in 2017-18. North Coast Rail Line – $16.9 million in 2017-18 for the North Coast Rail Line and $81.7 million in forward estimates for additional passing lanes, but there is no money for the $790 million Beerburrum to Nambour rail project. Coolum State High School – $3.2 million for new classrooms. Nambour Special School – $4.4 million for new classrooms. Connondale National Park – $185,000 to replace the Bundaroo Bridge with a new concrete bridge. Caloundra Hospital upgrade – $7.9 million of $17 million needed to improve the hospital. Caboolture Hospital – $9 million to begin a $112 million business case to expand Caboolture, Ipswich and Logan hospitals. Caboolture Hospital emergency department – $15 million of a $19.6 million project. Caboolture Special School – $4.3 million of $7 million to build new classrooms. Redcliffe State High School – $4.6 million of $6 million to build extra classrooms. Redcliffe Hospital – $7 million for extra acute beds at the hospital. North Lakes State College – $9 million in 2017-18 for new classrooms. Public Housing – $54.3 million allocated for new public housing in Sunshine Coast and Moreton areas. 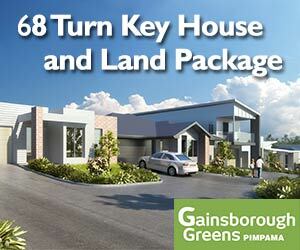 Ipswich Motorway Rocklea to Darra section – $36 million. Ipswich Hospital – $5 million for new clinical decision unit. Ipswich Hospital – $1.1 million of a $1.8 million project to build a new high dependency mental health facility. Ipswich West Special School – $6.3 million from $7.4 million for new classrooms. Springfield Central State High School – $4.8 million of a $5.2 million project to build a multi-purpose hall. Somerset Dam hydro plant – $1 million to begin a $12.1 million project. Wivenhoe Power Station – $12.3 million to bring gas turbines back on line. Mt Crosby Water Treatment Plant – $1.8 million to begin a $31.6 million improvement. Brisbane Women’s Correctional Centre – $14 million of a $33.4m plan to improve the women’s prison. Inala Community Centre – $1.3 million towards a $3.5 million improvement project. Bundamba Fire and Rescue station – $2.5million of a $3.6 million project. Bundamba Racecourse – $13 million to upgrade the Ipswich Turf Club. Boonah Hospital – $724,000 of $824,000 to replace the hospital’s air-conditioning. Pacific Motorway – $10 million to begin the $170 million Pacific Motorway/Gateway Motorway merge. Daisy Hill Koala Centre – $2.8 million of a $3.3 million upgrade before the 2018 Commonwealth Games. Mt Lindesay Highway – $4million to begin the $20 million widening of the highway between Browns Plains and Beaudesert. Waterford to Tamborine Road near Logan Village – $18 million to begin a $39 million upgrade of four intersections; also $12.3 million for road safety works near Yarrabilba. Marsden State High School – $4.8 million for a $5.2 million multi-purpose hall. Bromelton Interregional freight project – $7.6 million of a $9.5 million project towards new regional rail fright facility. Beaudesert to Beenleigh Road – $2 million of the $5.9 million needed to upgrade the road. Yarrabilba – $14 million to begin work at a new primary school at Yarrabilba. Beaudesert – $7 million towards the $26 million needed to widen the Mt Lindsay Highway at the new Beaudesert Town Centre. Social housing – $31.7 million for new social housing in the Logan area.